Many communities utilize the International Building Code for building construction. In addition, a town may also have its own code requirements. The community of Naperville is one such place. I am doing a major remodel in that town. The remodel includes replacing all of the gas lines in the house. The home is over 20 years old and building codes have changed. 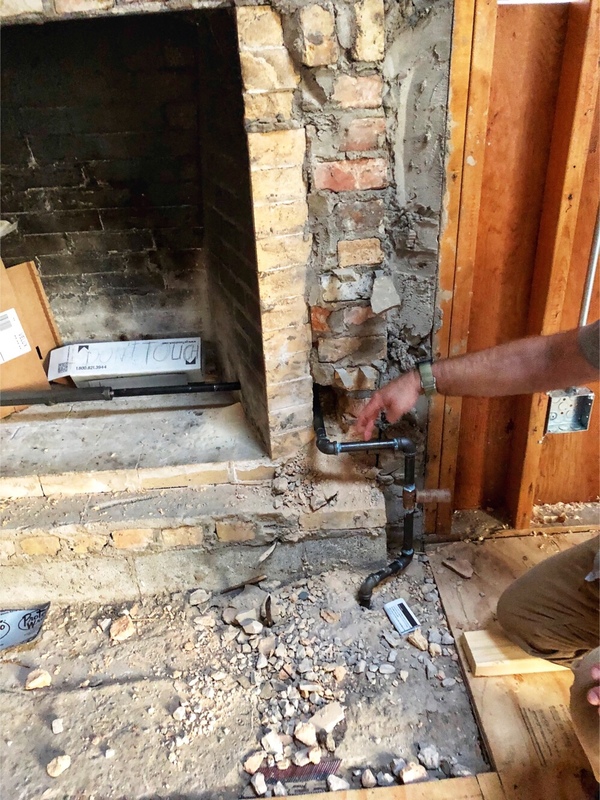 For instance, the fireplace had been supplied by a copper tubing gas line without a shutoff valve. New code requirements specify the need to use black pipe complete with a shutoff valve. If you examine the photo below you can see the stub from the old copper tubing and the new and much safer black pipe connection. You may be wondering about the second photo. My plumber pressurized all of the gas lines with air. 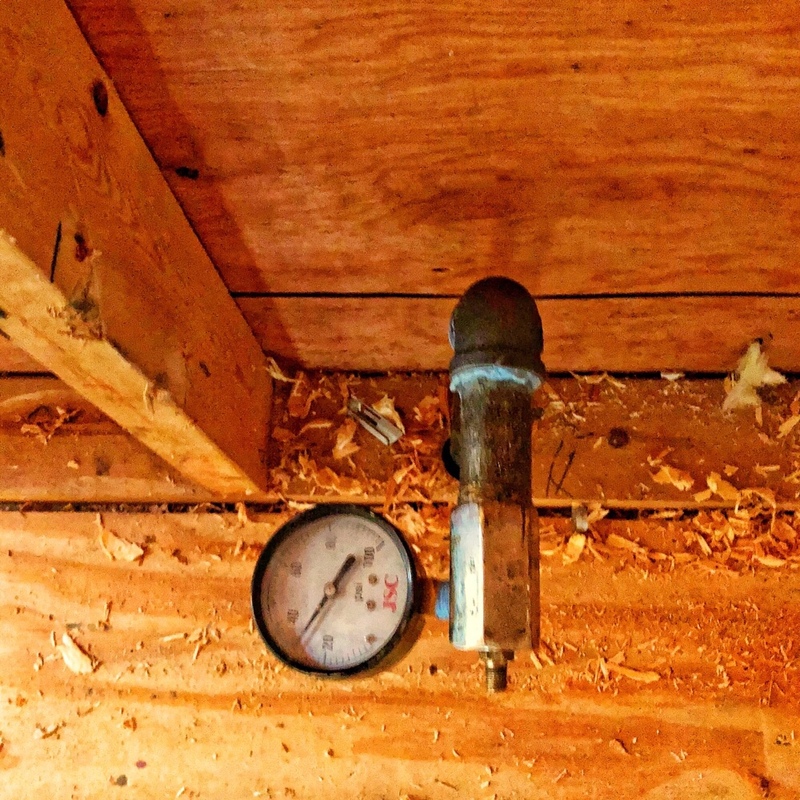 By connecting a pressure gauge to the system we can determine if there are any leaks in the line. I’m happy to report that there were none. If you have any remodeling or building needs, please feel free to contact me for a free estimate and my over 25 years of building experience. New gas supply for the fireplace. Note the old copper tubing stub.